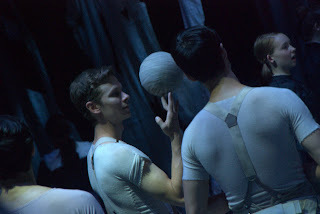 This blog will be updated when The Royal Danish Ballet goes on the big tours. 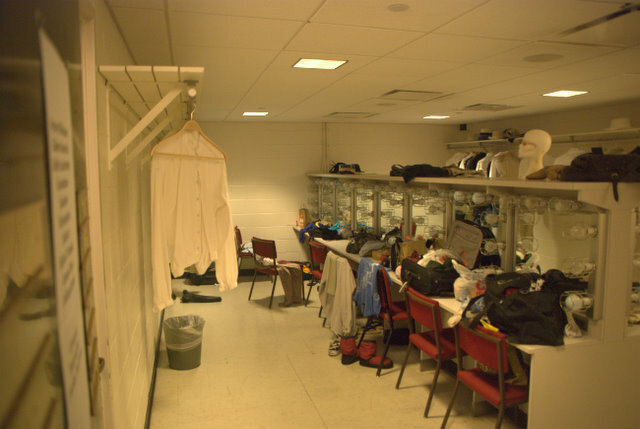 Like the US Tour 2011 - which you can read about below. 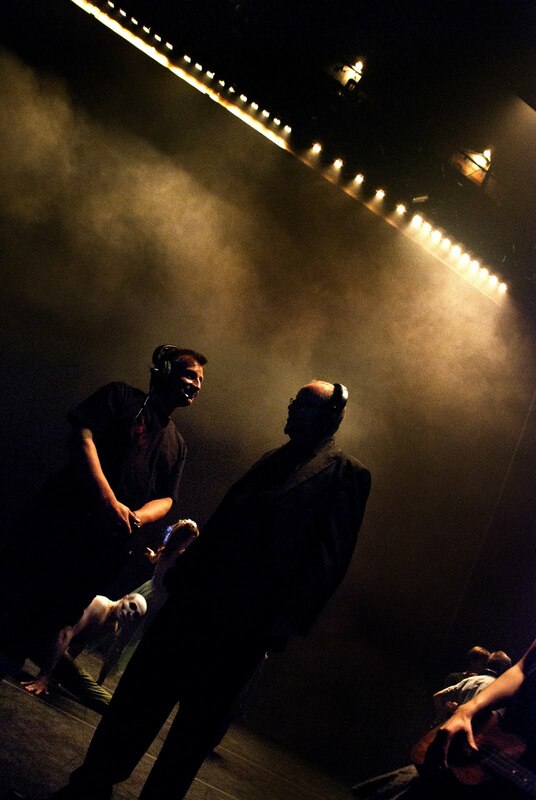 In the meantime you can follow RDBallet on Twitter: 'RDBallet' - or on Facebook (In Danish): 'Det Kongelige Teater'. 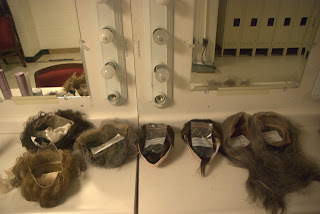 "All the girls are getting ready in the dressing rooms at the Koch Theater in Lincoln Center, NYC. Our last stop on this four week American tour. 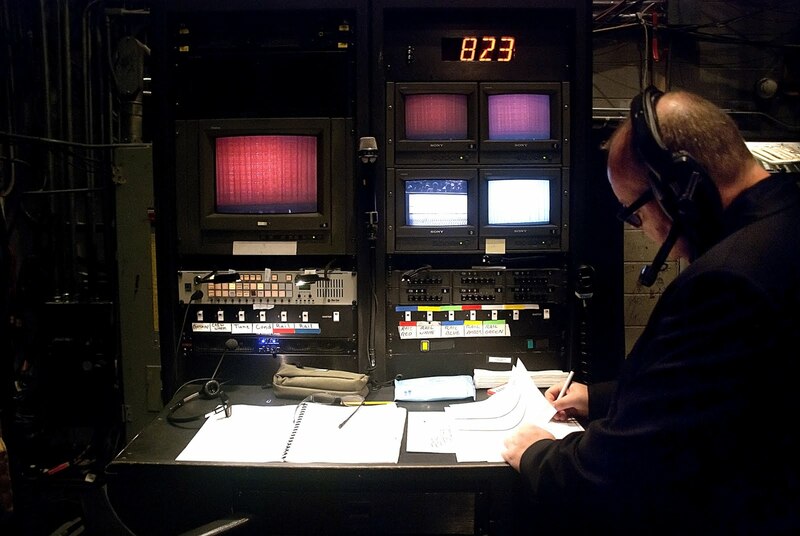 The voice of Thomas, one of our stage managers, comes over the loud speaker with a wink in his voice announcing that it is the half hour call to curtain for our last show on tour! Several sighs occur, as enthusiastic smiles break upon the girls faces. The words of, "We can do it," is on everyone's tongues. So dear America... the United States of America. It has been wonderful to be back on your soil. The ballet company has hit four major cities and each location was unique with its own flare, strong American touch and lots of variety. Denmark is calling us home now. But don't worry our bags are stuffed with all our favorite American goodies and souvenirs. One thing though that cannot be packed or physically packaged in any form is the audience's applause and reaction to us, as a company. The shouts, the bravo's, the noise and the enthusiastic faces standing up will have to become an engraved memory. From the first show in Orange County, California there was a warmth from the applause saying welcome. There was an undertone of surprise and not quite sure what to think about us Danes but by the time the curtain came to its final close they seemed pleasantly impressed. Then the crowd in Berkley, California embraced us with an open minded response. As we traveled East to Washington D.C. the cosmopolitan, political and formal side of the United States stepped away from the boiling heat to join us in the theater for a true Bouronville week. With three shows of a Folktale and four Napoli's back to back. There was even time for a special visit from the Danish Queen . The audience filled the huge theater with a proud and humble thank you to be stepping into these precious fairy tales. Finally back to the closing curtain in the Big Apple. The sense of making it in NYC puts you on the map, pushed every dancer in the final week. Despite being exhausted, the company as a whole stepped up and performed so that everyone was proud to be a part of this company. In a huge world, Denmark isn't the biggest country but we proved size isn't the most important. We were all so proud to be bowing in front of the audience knowing that Copenhagen was where we were going home to. 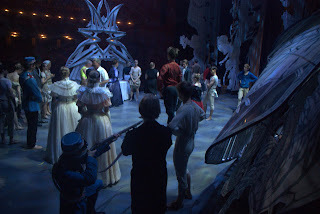 In the end the Royal Danish Ballet was shining. The audience could see it. The dancers could feel it. And if I could I would have captured that light in a jar and brought it home so that those who couldn't be with us could experience the gleam too. Fresh off the plane in Copenhagen, 8:30 in the evening and the sun still hasn't set. The light makes me think that maybe the sparkle is already here. Maybe we just shared it with another country. Welcome back everyone! Thank you." Dancer with The Royal Danish Ballet, Jonathan Chmelensky, created this video about the first 2 weeks of the US Tour '11. During the dress rehearsal Tuesday this photo was taken. It assembles a whole lot of ballet history in one snapshot! 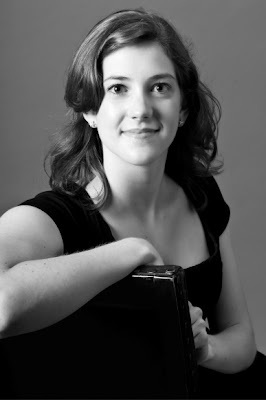 Anne Marie Vessel Sclüter og Mette Bødtcher. Flemming Flindt’s The Lesson was created for Danish television in 1963. It's based on the play La Leçon by writer of absurd drama, Eugène Ionesco. The play is a demonically captivating tale about an insane teacher of mathematics and language who kills his pupils. In Flindt’s version the insane teacher is a deranged, sadistic dance instructor. 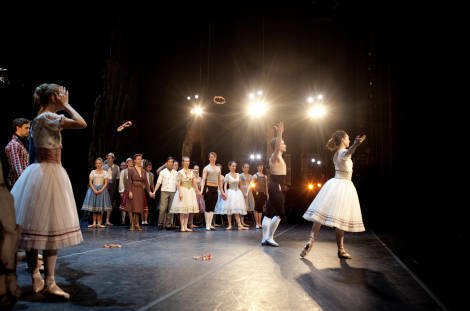 The ballet – as with all Flemming Flindt’s ballets – anticipates the advent of the international World Theatre wave, which indeed is far more obvious today than it was when his ballets were created. This wave implies, among other things, that the genre – in this case ballet – overflows its boundaries and engages with and is inspired by other genres. "It's funny how life can catch you by surprise when you least expect it... If someone had told me I would be performing at the David Koch Theater 5 years ago, I would have humbly dreamt up the opportunity under far different circumstances. As a student at the School of American Ballet, I frequented the grand audience at Lincoln Center to see countless performances of New York City Ballet. 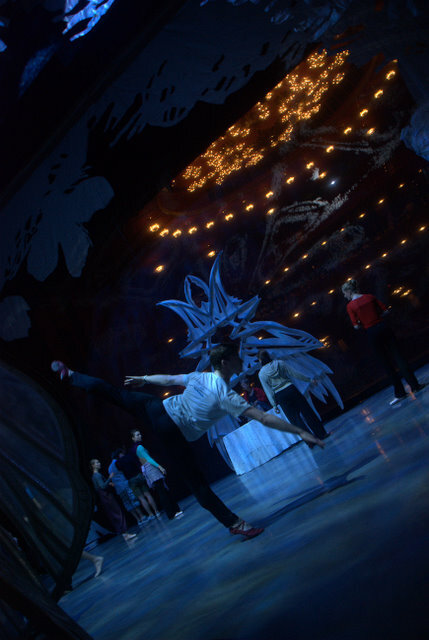 I even had the honor of performing George Balanchine's Nutcracker, and the first movement of Serenade there some six, seven years ago as an ambitious, high-bunned student of the company's official school located across the plaza. 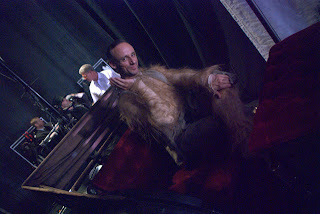 ...Little did I know it would take a move across the Atlantic and two seasons with one of the world's oldest ballet companies to find myself back on that beguiling stage, further educated in a different style of dance (Bournonville), proud of my path and humbled by the possibility to perform for friends, family, respected colleagues and idolized performers of my past. The thing about New York City is that it simply doesn't stop. It is wide awake when you leave it, and it is wide awake when you come back... Consistently crazy and contagiously energizing. I am simply beyond grateful for the chance to perform here in a different light. The past month of touring America has been blissfully rewarding in more ways than I could ever imagine and finishing our season here, the cherry on top of an infamous slice of NY Cheesecake. Here's to the unpredictable paths of life... reflection on the past, opportunity of the present and spontaneity of the future. 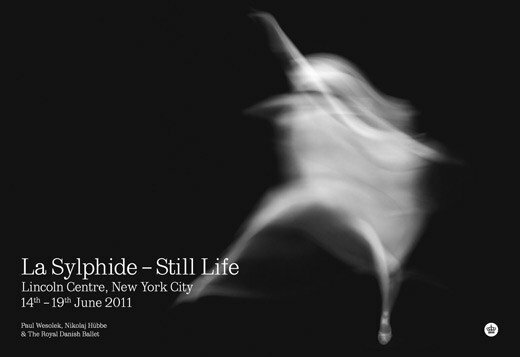 If you’re in New York don’t miss this amazing photo exhibition by Paul Wesolek La Sylphide - Still Life at the Lincoln Center. 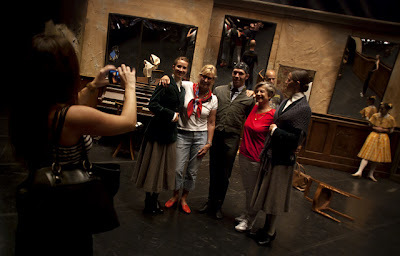 The theatre is open to the public Thursday June 16th from 1-9pm and runs till June 19th. Before a performance the dancers always decide how they bow. Here it's the 'bow rehearsal' for Bournonville Variations ... supervised Nikolaj Hübbe. James Clark, Julien Roman, Andrew Bowman and Nicolai Hansen. 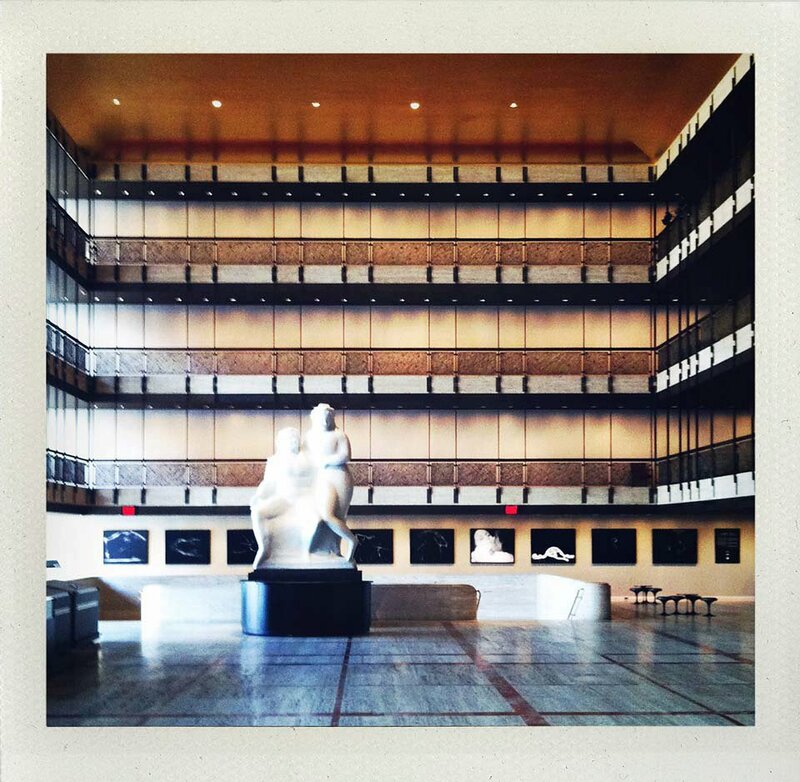 None of the dancers has performed at artistic director Nikolaj Hübbes old ‘hood’ Lincoln Center before. So you can imagine how excited they are to be here. Tonight we’re opening in the big apple with a mixed program with The Lesson, Bournonville Variations, Lost on Slow and Napoli 3rd act. 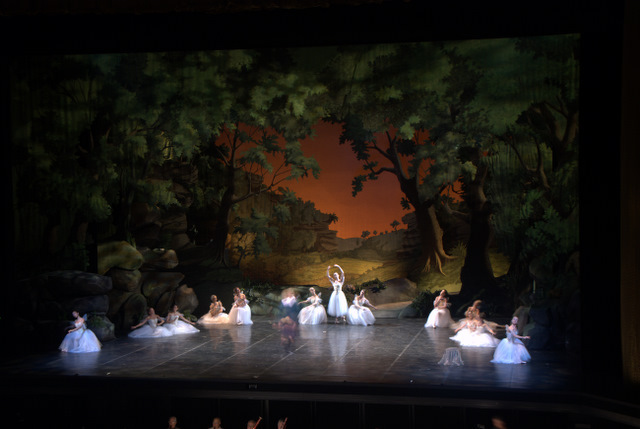 Later this week it’s time for La Sylphide. The last performance in DC was very emotional for us. After 52 years as a dancer with The Royal Danish Ballet, Character Dancer Flemming Ryberg appeared on stage for the very last time. 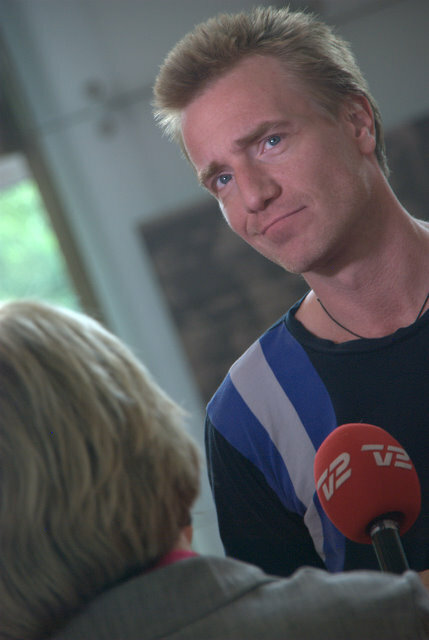 Ryberg was trained at the Royal Danish Ballet School. He became an apprentice in 1957, and in 1959 he joined the corps de ballet of the Royal Danish Ballet, where he was promoted to principal dancer in 1966 and became a character dancer in 1989. He’s not just a dancer in the RDBallet, he’s an institution. 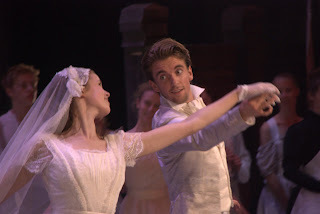 Troughout the years he has danced all leading roles in the repertoire of the Royal Danish Ballet, including James in La Sylphide, Prince Siegfried in Swan Lake, the Prince in The Nutcracker, Albrecht in Giselle, the Teacher in The Lesson and the title role in Petrusjka. Besides that he’s a dedicated guardian of the Bournonville legacy, he has directed Bournonville-ballets such as La Conservatoire, La Sylphide, the Flower Festival in Genzano, Napoli Pas de six and Abdallah. 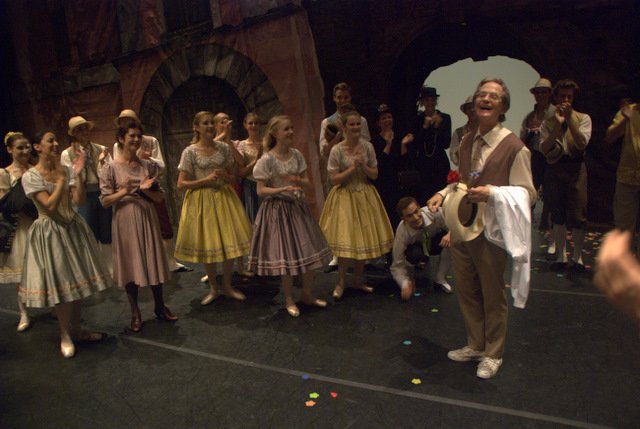 Today, in Napoli, the 70 year old Flemming Ryberg stepped his last steps as a member of the RDBallet. He will be missed! I am the virgin writer on this blog today, and apart from a few angry outbursts at multinational companies, I don’t go around writing stuff on the internet. I am certainly not the kind of guy, who writes every move I make, or any emotional state I would be going through on Facebook, though I must admit that I have a profile there. I was however challenged to write a few words about what I - as a stage manager - experience during our American tour, and I chose to pick up the glove. This is my first trip to the states, so coming here with The Royal Danish Ballet is of course something I have been looking forward to with great anticipation. I have not actively read this blog before, but I am sure all the glamour surrounding the Queens visit has been eagerly described, so I am going to give a behind the scenes view, at some of the heroes behind the scenes. First up is my main man Owen. On Monday this week, a selected group was invited to a reception at the Danish embassy here in Washington. At this reception, Tina Højlund was to perform ”The Egg” by Esther Lee Wilkinson. Somebody had to get the actual Egg Chair there, and that somebody ended up being me. The Kennedy Center supplied a van and a driver. That driver was Owen. When we were first introduced by the Godfather of the Kennedy Center, Mickey Berra, who I will be coming back to later, he said:” This is Owen, he’ll go with you and give you a hand. If you shoot him, use two bullets”. Luckily I never had to bring out my gun, and Owen showed to be the perfect help. We went to the embassy in a rather scruffy looking van, and at first they didn’t seem very keen on opening the gates at the embassy. We did eventually get in, and had a brief discussion about where to set up”The Egg”. Knowing that it wasn’t the perfect spot, Owen and I laid out the marley and placed the chair. Then Owen went for a nap in the van, while I waited for Tina and other assorted characters to arrive. When they finally arrived, Tina expressed kindly that the first position of the chair was not suitable for the performance (I knew it! ), so I went and woke up Owen in the van. But with great patience he just went in with me, and we moved the set-up, and also installed a sound system. We made an appointment about the get-out of the gear, and Owen where to arrive at the embassy, shortly after the performance on the veranda, that Her Majesty and the Prince Consort enjoyed. My esteemed colleagues Brian ”The Violin”, Vagn ”The Outlaw” and Ole ”O.J.”, and me, got the gear out in the parking lot, so we could quickly stick the stuff in the back of Owen’s van, and it would be out of our hair. But needles to say, Owen and his scruffy, black Dodge, was not admitted to the embassy by Secret Service. We eventually persuaded ”the suits” that Owen was a cool guy, and had no intension of fowl play, and he was admitted to the parking lot. And what sight met us there? Owen stepped out of the van in black slacks, white shirt and a tie, not at all looking like the stage hand he did in the afternoon. He did this for us, even though he just made a pick-up at the embassy parking lot. Owen! If you ever read this, you were the hero of the day, and a funny and cool guy with it. I hope you don’t get so surprised, next time you see a Danish toilet flushing the opposite direction as an American one ;-) Word! everything runs smoothly during performances. Another funny guy was the stage hand, whose name I unfortunately forgot, who taught me what the best American lager was. I asked him on stage which was the best lager, and he responded”Yuengling”. I immediately took off for the liquor store, but was caught up on the way by my new friend, who said to follow him. We ended up in the garage below The Kennedy Center, and after walking around a bit, he suddenly opened the trunk of a car. In the trunk was a picnic cooler with ice, and of course a couple of Yuenglings. 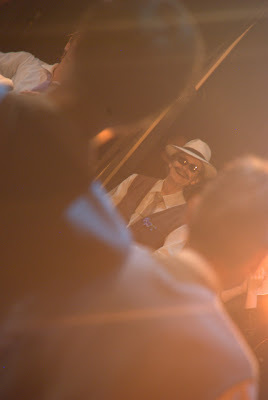 He offered me one, but I guess I was so stunned by him, and also deep down so stringent about not drinking during working hours (even though I wasn’t calling the show, there was still a performance going on. And at home we’re not allowed to enjoy alcohol before after the final curtain), that I declined it. 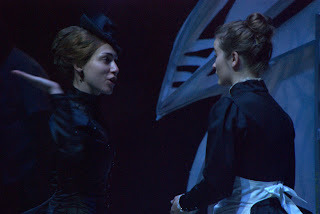 Ever since the incident, I have felt really bad about it, so dear friend, whose name I will certainly learn, during the Napoli performances: I didn’t mean to be rude, and I should of course have accepted your generosity. I hope I can make it up to you one of these days. Finally I promised to tell a bit about Mickey. 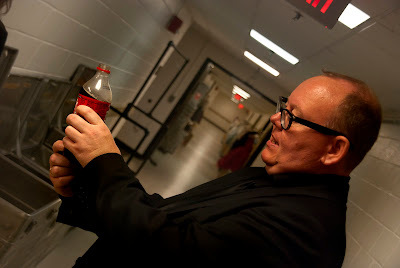 He is the VP for production at the Kennedy Center, and a great guy to be around. He constantly spreads good vibes backstage, and that is always needed, especially when you are on tour. I will let a video piece from YouTube describe Mickey, and you will know exactly what kind of guy he is. Follow this link and be entertained. PS. Of course I don’t own a gun! This morning started with a happy dance by the breakfast buffet since we just got a great review of A Folk Tale in New York Times. ... It’s a joy to see the Danish dancers again. On Thursday the heart leapt with Susanne Grinder’s Hilda, an image of transcendent purity both amid the trolls and when restored to her original home. And the heart leapt in a different way with Lis Jeppesen. This enchanting artist was Hilda when I first saw this ballet in 1979, and now she plays the sweeter and naughtier of the troll queen Muri’s two sons, Viderik, with no apparent loss of youthfulness or wide-eyed charm. 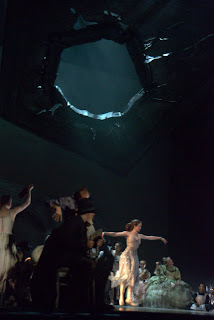 Alba Nadal’s Birthe, Marcin Kupinski’s Ove and Mogens Bosen’s Muri are all characterizations of tremendous vitality, and the seven dancers of the Act III divertissement whetted the appetite for the pure-dance passages of Bournonville that will be seen in New York next week. Napoli is one of the cornerstones of the Royal Danish Ballet. Most of the dancers – at least the Danish ones from the Royal Danish Ballet School – have been performing in it since they were kids. Principal dancer Amy Watson didn’t do Napoli in Copenhagen as a kid since she’s American and educated from The American School of Ballet, but the classical Bournonville ballet means a great deal to her anyway, especially this new production by Nikolaj Hübbe. Why? 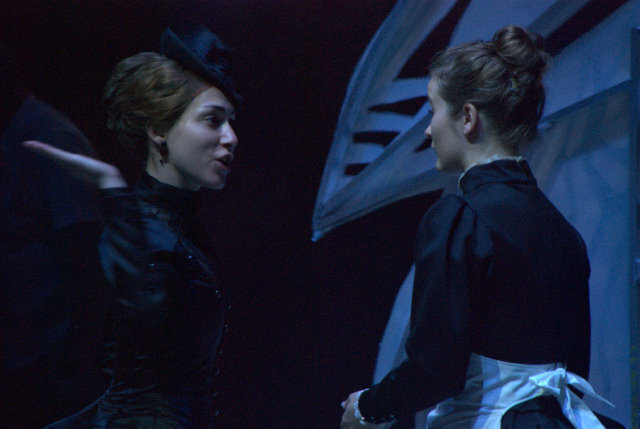 Because Hübbe let her be her own Teresina, and because it was during the rehearsals for the re-staging of Napoli in 2009 she fell in love with her boyfriend, soloist Alexander Stæger. She did the principal part as Teresina, he was Gennaro. Lovers on stage. And of stage. Tonight Amy Watson and Alexander Stæger will be the principal cast when Napoli premieres in Washington DC. Among the audience there’ll be at least 40 of Amy Watson’s very good friends and family since she was born and raised in Washington. Not just any night for Teresina. Nor Amy Watson! 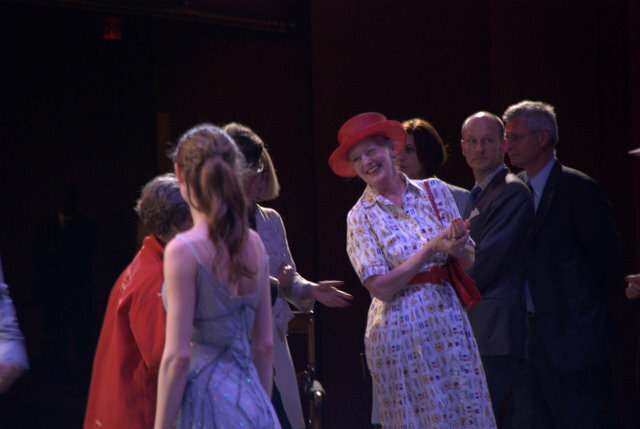 Right after the dress rehearsal Wednesday, Her Majesty The Queen of Denmark came to Kennedy Center to see a short rehearsal with principal Ulrik Birkkjær and Corps de ballet dancer Hilary Guswiler. Principal Thomas Lund DONE! And ready to be a troll. The US premiere of the new edition of A Folk Tale is getting close now. Tonight America will see what Nikolaj Hübbe has created, but first there’s a dress rehearsal at Kennedy Center. 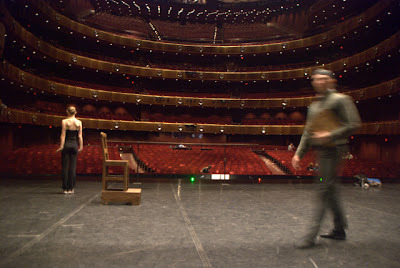 Dancers 'spacing' = finding out how much space they have, because it's a smaller stage than in CPH. Alba Nadal telling Elisabeth Dam how she's going to slap her in the face! 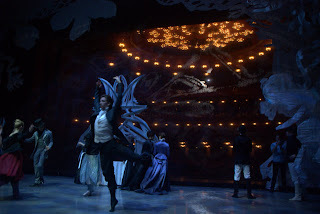 The Royal Danish Ballet is one of the worlds oldest ballets. It's situated in the middle of Copenhagen and it has a strong Bournonville tradition. 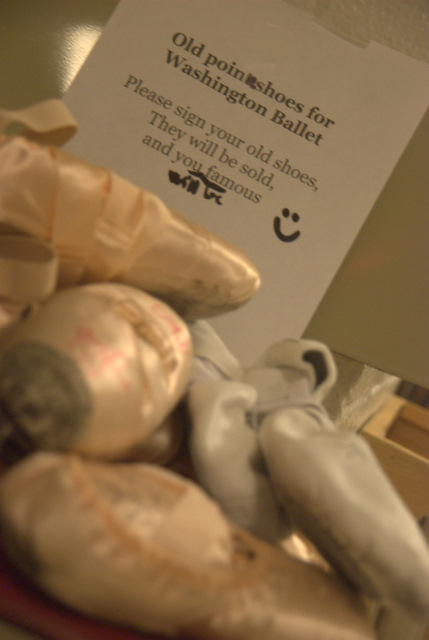 Follow our daily life here - written by the PR-Manager of the RDBallet. 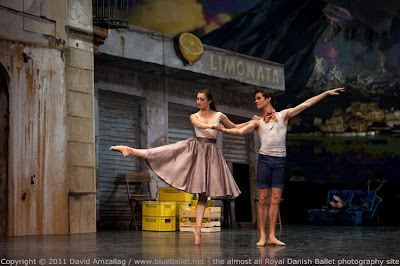 Royal Danish Ballet. Awesome Inc. theme. Powered by Blogger.